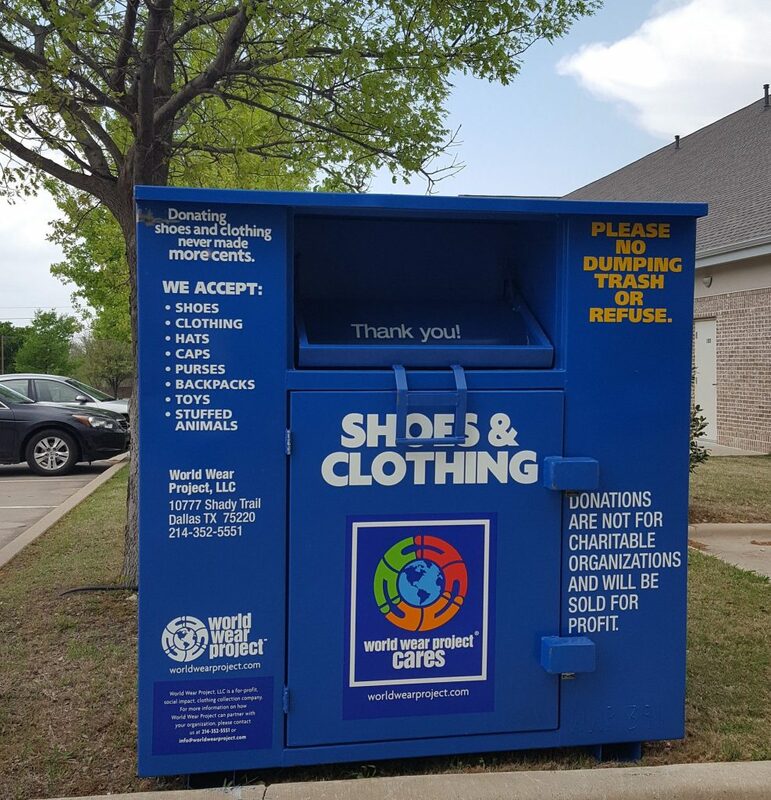 The World Wear Project recycling bin is back! The World Wear Project encourages REUSE by making gently worn clothing and shoes affordable for people who might otherwise be unable to afford new clothing. The materials from seemingly unusable textiles are then up-cycled to make something altogether new and usable. The project is a win/win for all involved! Please consider bringing items to church and placing them in the bin located in the parking lot next to the apartments. The bin will be at TPC for the month of April only. Trinity Cares for Creation.